We know how to adventure without all the mess. Wetseat offers years of experience as we are Aussies making for Aussies. 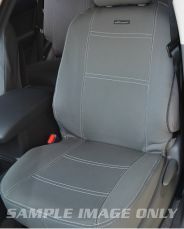 At Wetseat, we are committed to producing the best seat covers on the market. Our Ford Neoprene seat covers cover all Ford Falcon and Ford Ranger models including the Ranger PX, Wildtrak, XL, XLS and XLT. We align our Wetseat cover designs to the Australian lifestyle, and that is why we use Neoprene. 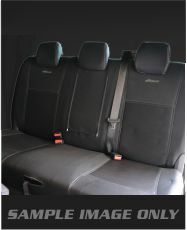 Our neoprene car seat covers are 2.7mm UV safe that is highly water, abrasion and chemical resistant. They work against the intense Aussie climate and covers your entire seat to avoid any wear or damage. 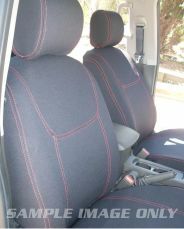 We understand the Ford Ranger and Flacon experience, so we design not only aesthetic seat covers, but also safe ones. 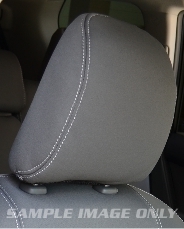 All of our Ford ranger and Falcon seat covers are compatible with side seat airbags. Our neoprene car seats avoid covering that airbag deployment zone. Ensure a fun yet safe adventure in your Ford Falcon or Ranger with our Wetseat neoprene car seat covers.